After finally coming together the day before as a group of eight for my birthday trip, on the morning of Friday, November 16, we split up with John watching the two children at the Carlsbad Caverns National Park Visitor Center while the rest of us went on the ranger-led King’s Palace Tour. After the tour, we collected the three who had stayed above ground and assembled in the cafeteria for lunch. Our plan for the afternoon was for all of us to descend into the cave, since children of any age could go in via the Natural Entrance (with adult supervision). 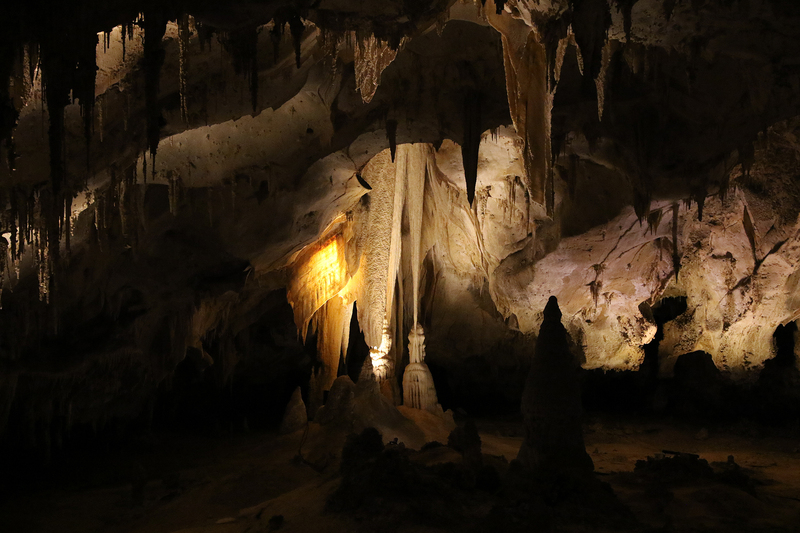 This entry was posted in Journey and tagged Carlsbad Caverns, Caving, New Mexico on March 27, 2019 by Brandon Hayes. As a deep dusk settled across the Chihuahuan Desert east of the Guadalupe Mountains on Thursday, November 15, we moved from the second to the third (and final) phase of the trip to celebrate my fortieth birthday. Sean and I were about half an hour ahead of Phil, Adam, and Sylvan on the National Parks Highway between Guadalupe Mountains National Park and the city of Carlsbad, New Mexico. On the way, we passed the phosphorescent light from the filling station in Whites City, the tiny boom town gateway to Carlsbad Caverns National Park. 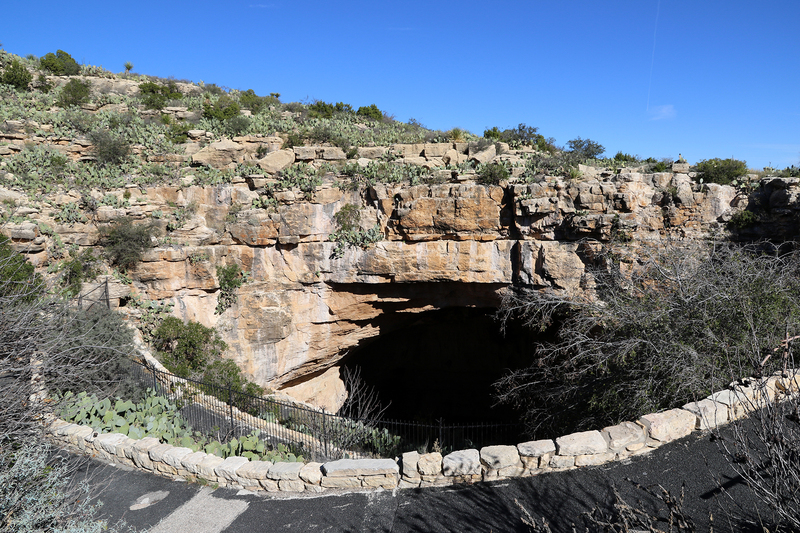 Carlsbad Caverns would be the focus of the coming long weekend. Our ultimate destination was an AirB&B in a quiet neighborhood on the north side of Carlsbad, across the Pecos River from the hullabaloo of the main thoroughfare and its traffic jams of souped up pickups waiting to make a lefthand turn against the light into the Wallmart parking lot. As we entered Carlsbad from the south and slowed in five and ten degree increments as the speed limit signs instructed, we hung up with John and Catherine, who had just arrived at the AirB&B, maybe twenty minutes ahead of us. 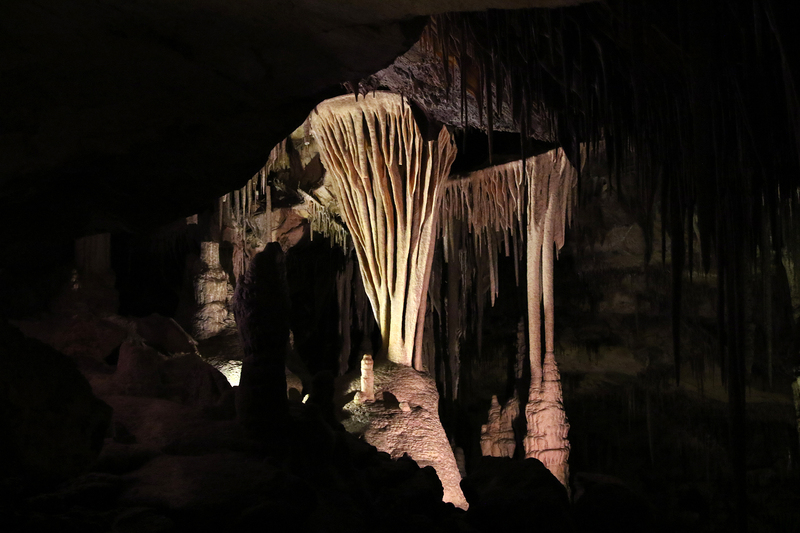 This entry was posted in Journey and tagged Carlsbad Caverns, Caving, New Mexico on March 17, 2019 by Brandon Hayes. 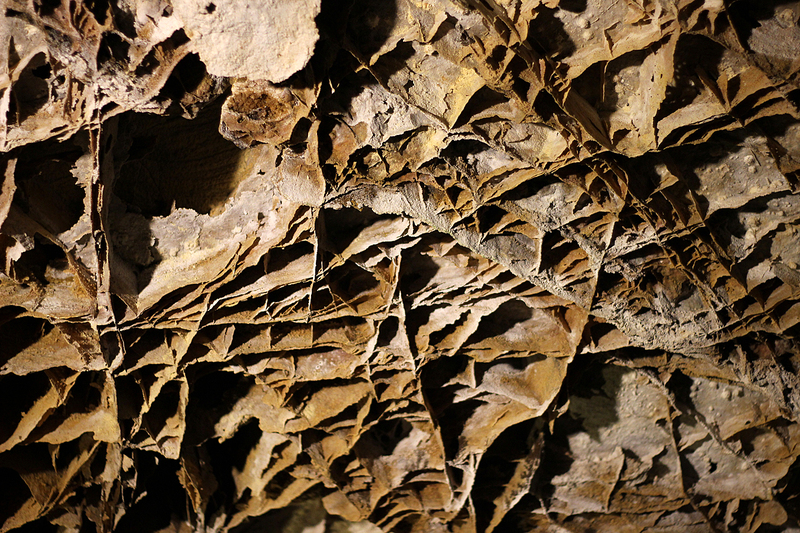 The morning of August 18 was devoted to our tour of Lehman Caves, the highly decorated limestone cave that the south Snake Range had first become famous (and federally protected) for. 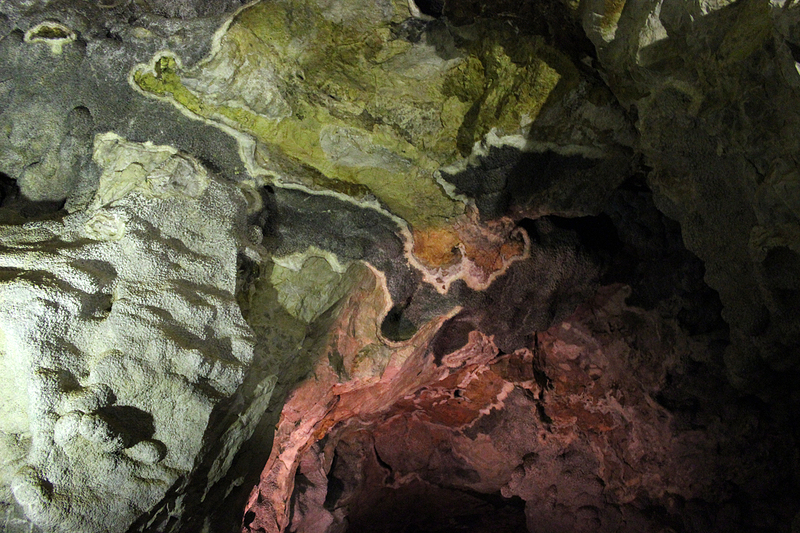 When our friend Patrick had visited Great Basin National Park on a lark during a road trip from the Bay Area to Chicago, he hadn’t been able to tour the cave because the tours were sold out. We had booked ours weeks in advance so that wouldn’t happen to us. My thinking had been that we would do the cave tour straight off on the morning of our first day in the Park, then we’d have the rest of our time to do whatever we wanted whenever we wanted. This entry was posted in Journey and tagged Camping, Caving, Great Basin, Nevada on January 29, 2018 by Brandon Hayes. Jewel Cave National Monument was established by President Theodore Roosevelt on February 7, 1908 as the nation’s thirteenth National Monument. It was intended to protect what at the time was assumed to be a small, but distinctly beautiful cave. Jewel Cave now stands as the second longest on Earth at over 166 miles of explored passageways. This entry was posted in Journey and tagged Caving, Dakotas, National Monument, South Dakota on October 5, 2014 by Brandon Hayes. 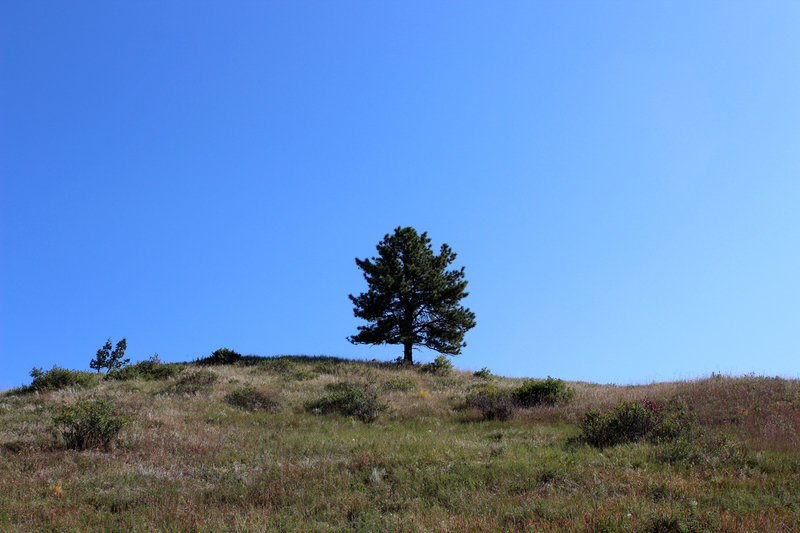 After we’d breakfasted on Monday morning, September 8, we drove the short distance from Elk Mountain Campground to the Wind Cave National Park visitor center. We were hoping to take the 9am Natural Entrance Tour, but we were too close to its starting time. Ranger Andrew sold us the final two tickets for the 9:45am tour. He informed us that there would be a group of middle schoolers on the tour with us, but it should be fine, since there had been others from the same large group on tours the day before without any problems. As we waited the forty-five minutes for our tour, we watched the twenty-minute park introductory film and explored the exhibitions in the CCC-era visitor center. We also stopped by the bookstore. This entry was posted in Journey and tagged Caving, Dakotas, South Dakota, Wind Cave on October 4, 2014 by Brandon Hayes.